… in case you want matching cuffs for the little people. 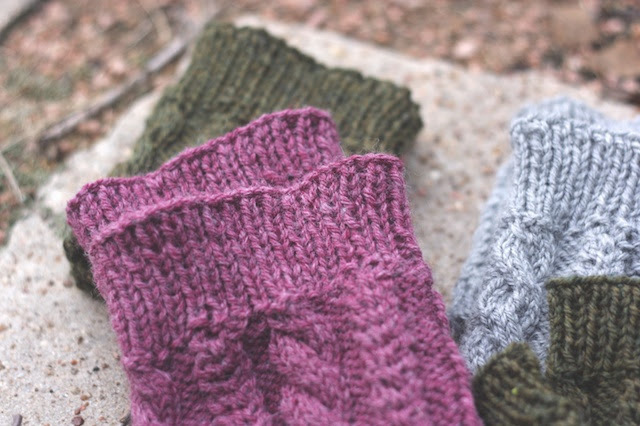 These are hasty photos of some more of Becca's Cabled Boot Cuffs I made for relatives this Christmas. The two on the left were knit as directed. The others were modified for children. 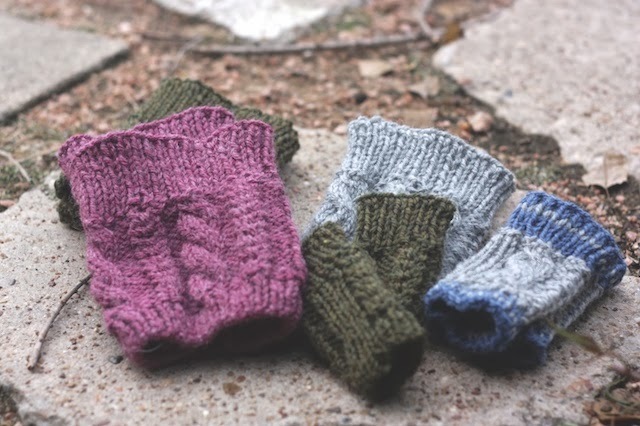 The sold grey pair were knit for a junior girl, so I only reduced the stockinette portion of the pattern by 6 stitches. For the other two, I cut the stitches in half and used rib stitch when directed to use stockinette. I hoped this would help the cuffs stay in place. I also shortened the cable stitch repeats by one repeat so they wouldn't be too long for small legs. I was in the zone at that point, so there was no stopping to consider the usefulness of these on active, squirmy children. I don't know if these two smallest cuffs will even work. They look pretty doggone tiny, but my daughter's legs were like that until she was 15 so I have no frame of reference. They were just a little extra something, anyway. If they don't fit, or are immediately misplaced, it's no biggie. I can always force my dog to wear them so he'll look Flashdance-y.